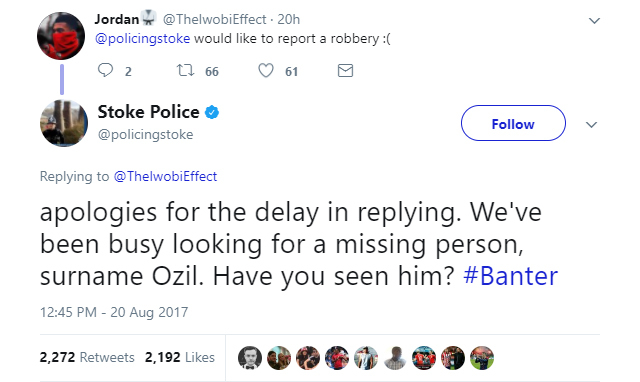 Stoke Police have poked fun at Arsenal supporters during another round of football banter on social media. The Gunners were condemned to a 1-0 defeat at Stoke City on Saturday, with former Real Madrid striker Jesé scoring the only goal of the game. 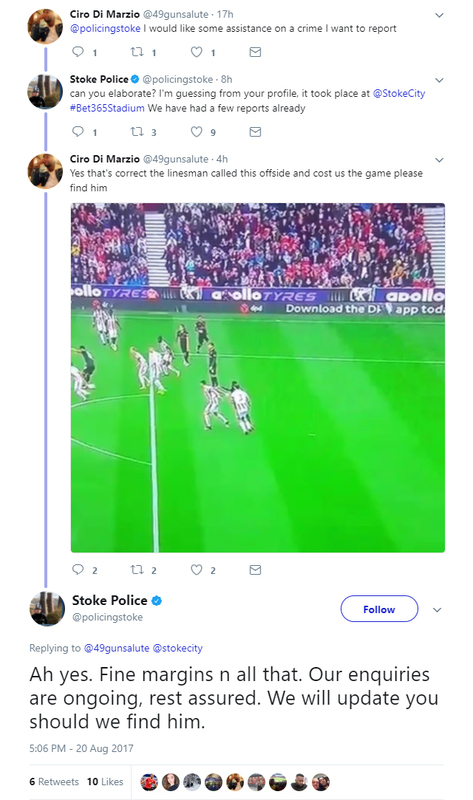 Arsenal were aggrieved when Alexandre Lacazette had an equaliser ruled out for offside in a contentious decision, and some fans voiced their frustration by bizarrely reporting the incident to the Stoke Police on Twitter. 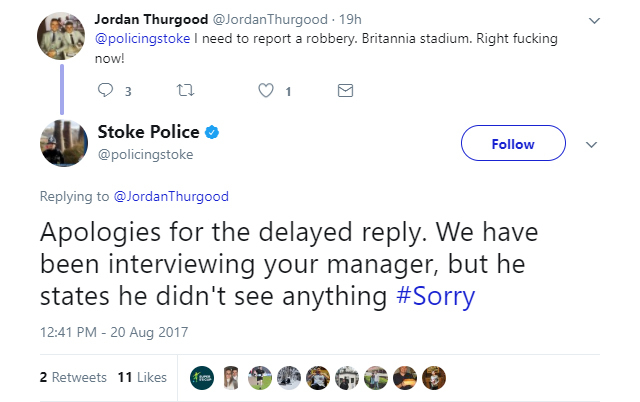 However, the person behind the Stoke Police's Twitter account produced brilliant responses and won the Twitter exchanges in style.